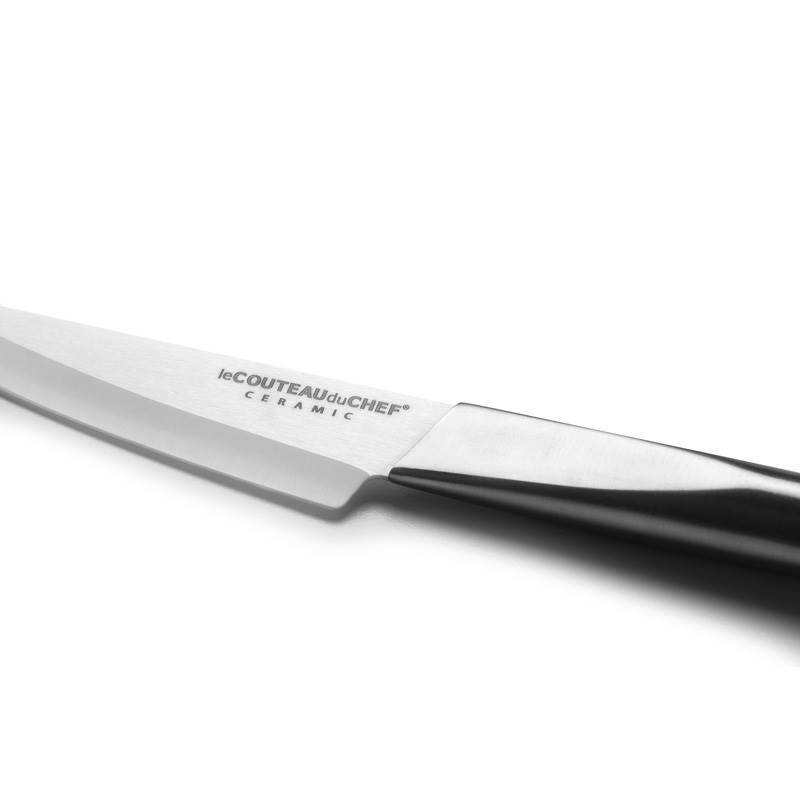 Leader in French cutlery, TB signs quality knives and pay extreme attention to the fact that the white ceramic used for the manufacturing of this slicing knife has high zirconium oxide content. 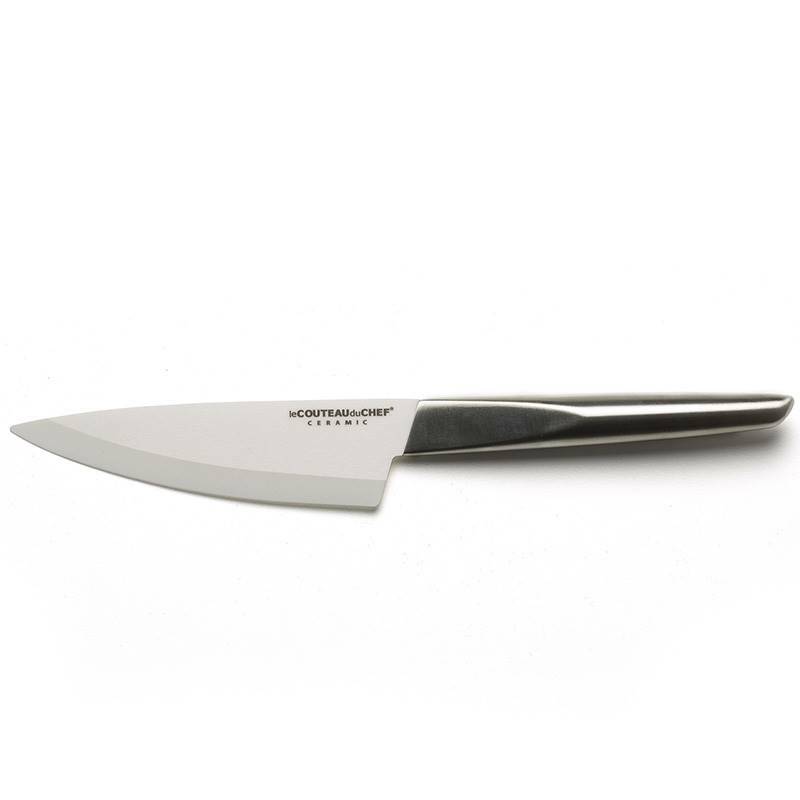 This very hard and extremely resistant material guarantees this slicing knife an unrivalled sharpness and a very precise cutting quality. 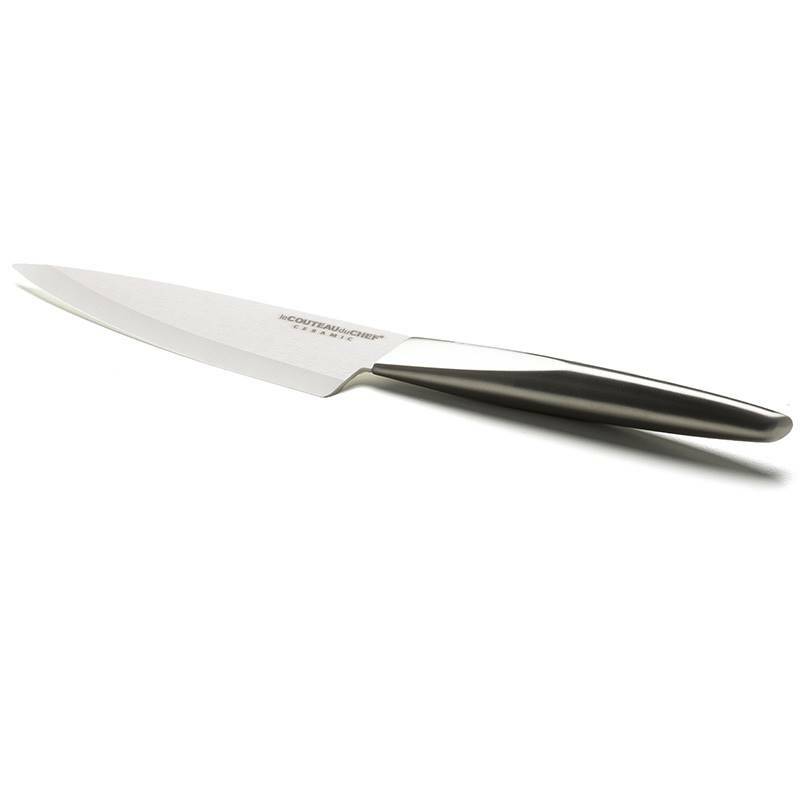 Made of stainless steel, the handle ensures this knife to be a very modern, slender and dynamic high-end tool. 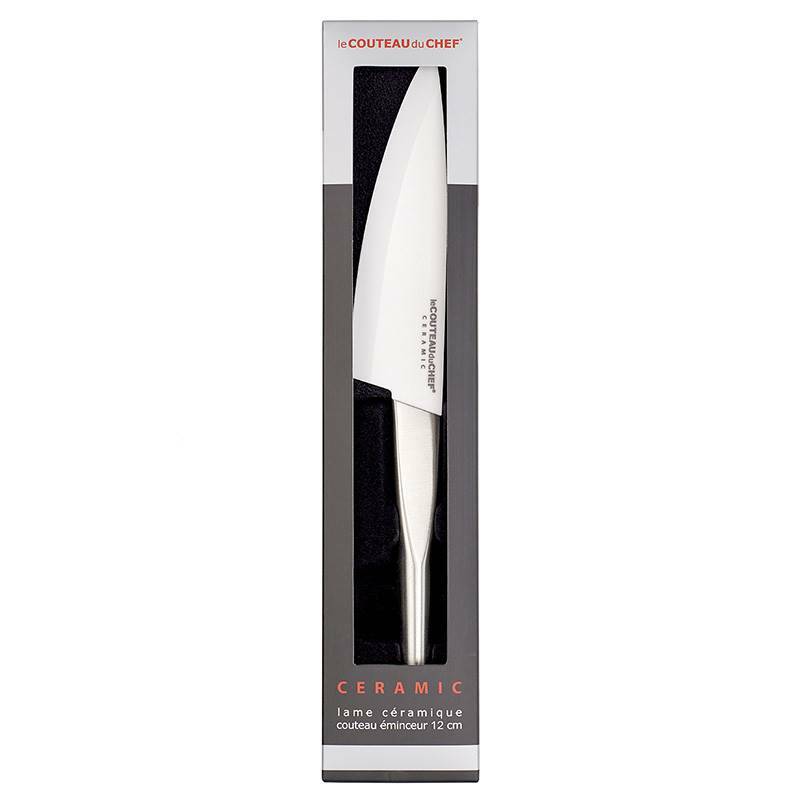 The blade of this slicing knife is made of white ceramic to ensure an exceptional sharp edge. 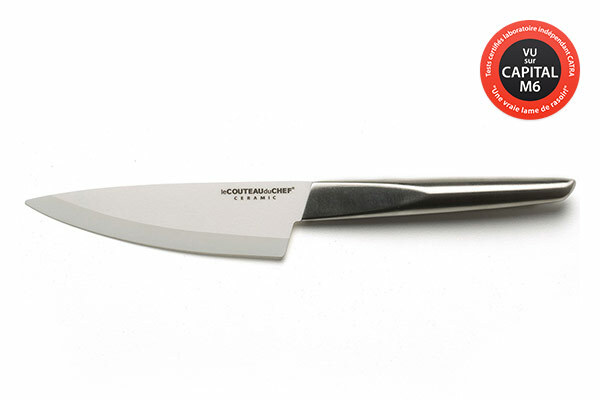 It is adapted to cut and mince all type of vegetables and fruit. The elegant design of the ceramic gives it a modern look. It is the ideal tool to mince, dice and cut pieces in record time!